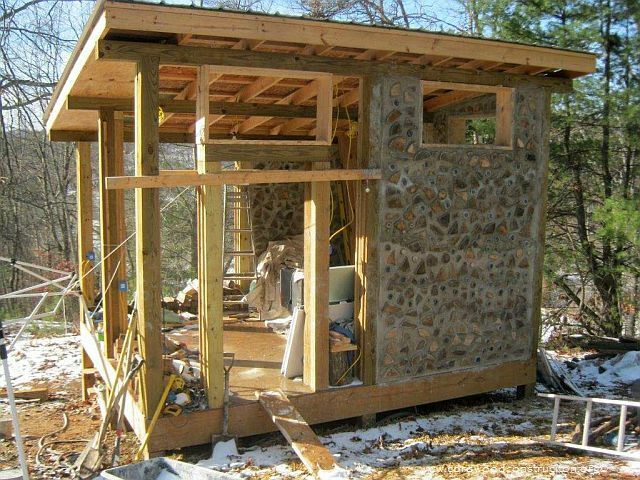 Patrick sent some wonderful pictures of his family building a cordwood sauna in the hills of West Virginia. Since my wife’s family is from WV, it piqued my interested. Then Patrick told me he was Finnish (I lived in Finland from 72 to 74) & I was hooked. Since he was building in an area with a great view, but no access to a concrete truck, he decided on a post and pier foundation. 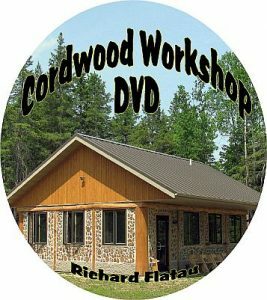 Cordwood is rather heavy (500 pounds per lineal foot) and so Patrick beefed up everything to handle the weight. The post framework, using pressure treated posts is buried well below frostline and anchored with a concrete slurry. The family has taken their first saunas (if you know anything about Finn’s you know a sauna is a very important ingredient in producing a happy Finlander:0) Here are a few photos of Patrick and his clan on this St. Patrick’s Day! 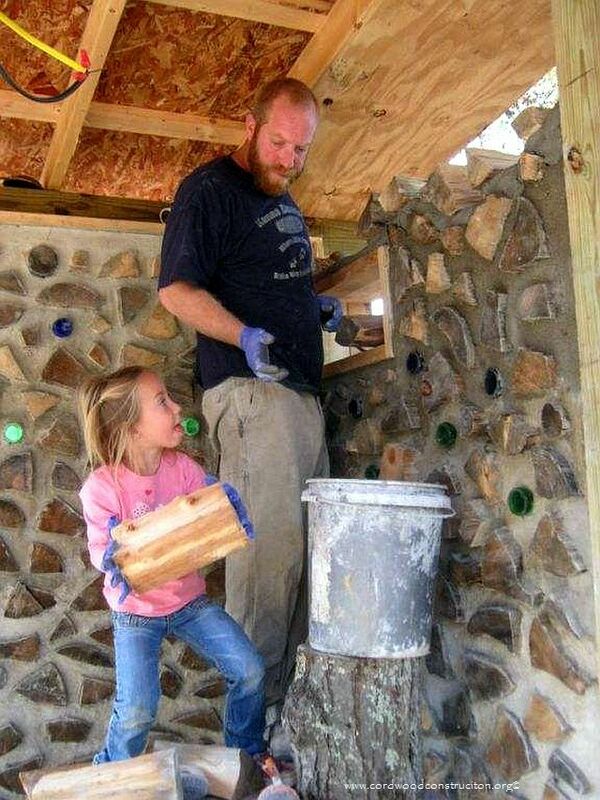 Garnet (Katy) is an enthusiastic cordwood mason and has the next log end ready for Dad to mortar. Patrick was kind enough to send me a little history of his family. 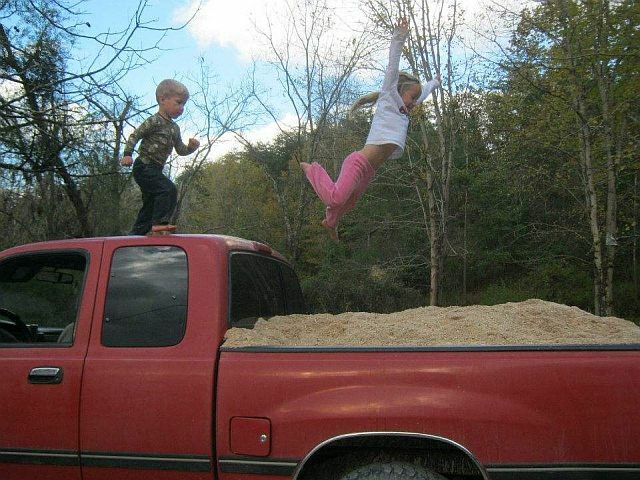 Nothing like a family project to bring the brood together. 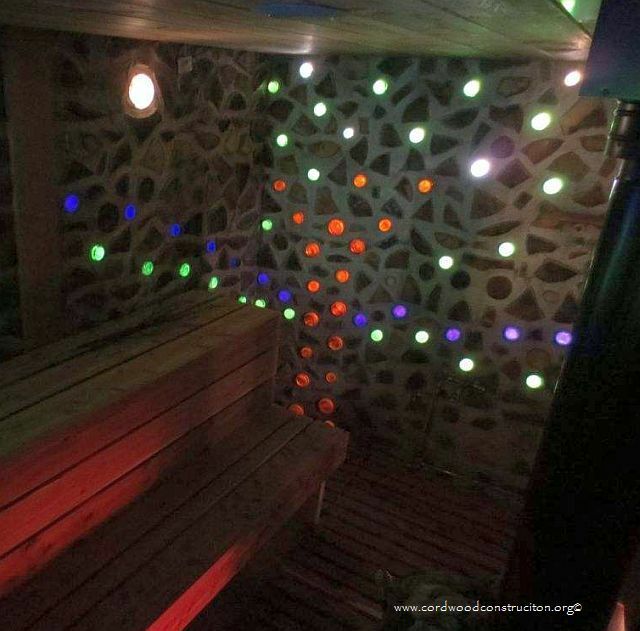 The changing room is next in line for cordwood infill. 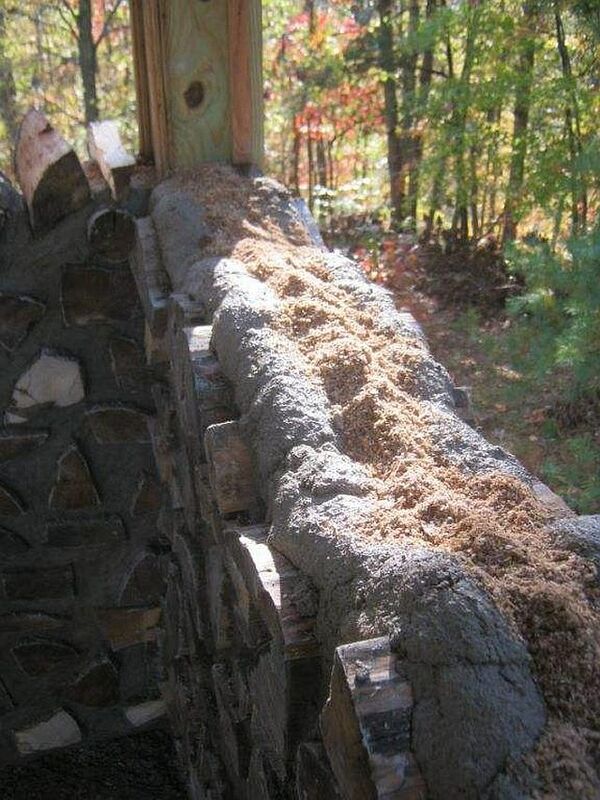 An outer and inner row of mortar and sawdust insulation down the center. 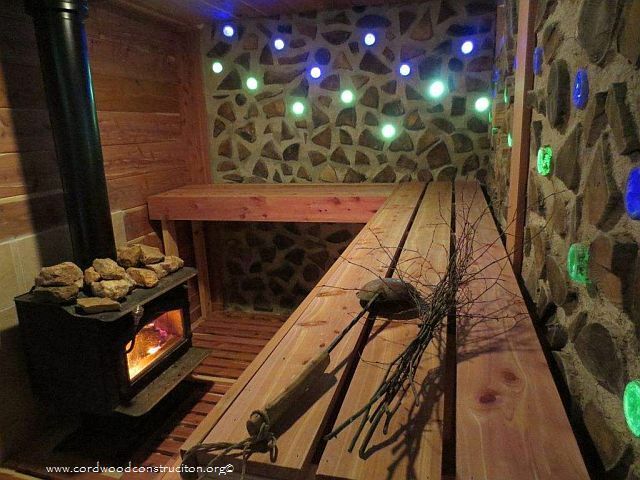 This sauna is gonna keep its heat inside! 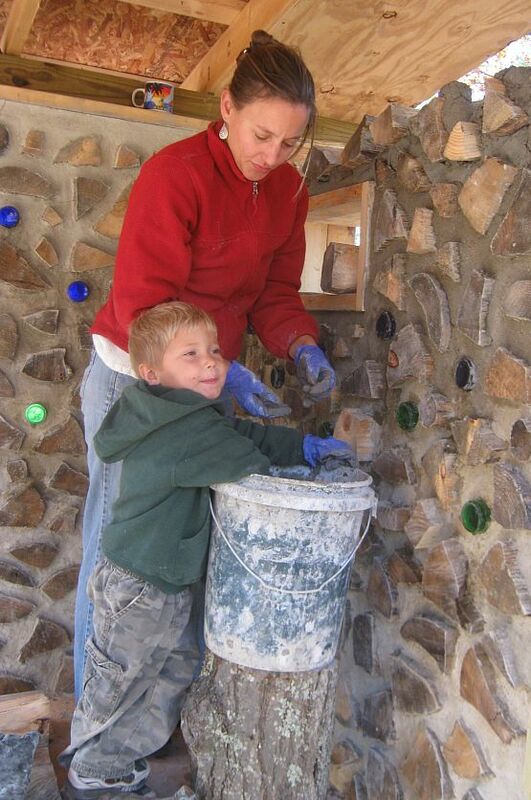 Karen and Everett dig into the mortar bucket to get the next handful of mud. Playing in the mud is so much fun! In Finland everyone has a “sauna aika” or sauna time once or twice a week and seriously, who wouldn’t want to be doused with water, switched with birch branches and loofa-ed to clean the pores. While you’re at it throw a “makkara” (sausage) on the hot rocks for feasting! 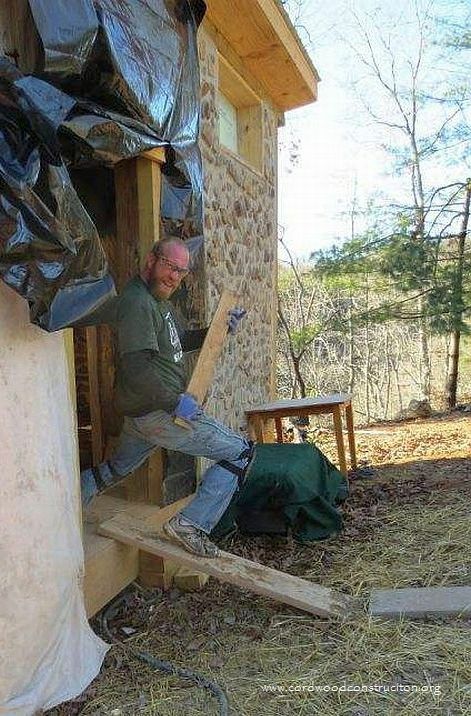 While you’re at it, when life gives you a 1 x 4 and your Irish *by name), Finnish and Hungarian, why not play a little air guitar in between batches of mortar? 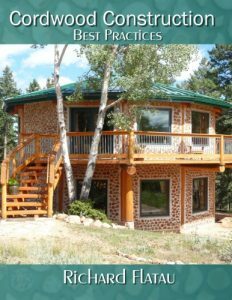 I’d like to thank Patrick and his family (Karen, Garnet & Everett) for allowing me to share their cordwood sauna journey. Here is a little more of Patrick’s heritage.